There are plenty of Down Valley places to stay. The bed and breakfasts, motels and hotels are clean and comfortable but are not the five-star resorts you might find in Vail and Beaver Creek. The Eagle hotels are mainly national chains and are located right off the highway, making it easy to find a place to stay and making it just as easy to get back on the road to get skiing come morning. Many of the places to stay in Eagle and Gypsum offer free breakfast and pools for families and kids. They are within walking distance to the bus stop, banks, grocery and restaurants if you arrive without a car. Gypsum and Eagle hotels and motels are run by locals, so you can get some great inside information if you take some time to chat with them. Best of all, because these places to stay are Down Valley, in the towns of Eagle and Gypsum, the price is much more palatable. You may even get a deal in the middle of winter or at the height of the summer season. It never hurts to book ahead, of course, but many times there are a few rooms available at last minute. Eagle hotels are well-kept and nicely updated, but they don't have the pretense of some of the larger, more well-known hotels found in Vail and Beaver Creek. You’ll have to bring your own robes to these properties, but that doesn’t make them any less welcoming! The fact that you're staying in a cool little mountain town where you can mingle elbows with locals will make these Down Valley hotels all the more appealing. Each room at this Comfort Inn has HDTV, a coffeemaker, a hairdryer, a refrigerator and a microwave. Hotel amenities include free WiFi, a business center, free shuttle service to and from the Eagle airport and the bus station, and an indoor heated pool and hot tub. 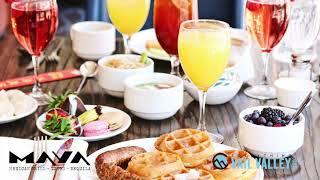 The complimentary breakfast offers items like eggs, waffles, yogurt, fresh fruit and cereal. Wake up to a continental breakfast in the heart of Eagle when you stay at The Hitching Post Bed & Breakfast. This well-preserved historic home has comfortable common area with a fireplace as well as two cozy guest rooms, each with a private bathroom. Wireless internet is available for free. During the ski season, a two-night minimum may apply.